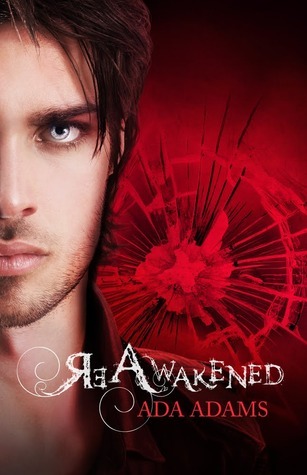 It's an honor to be part of the ReAwakened Blog Tour! I absolutely loved the first book, ReVamped, and I couldn't wait to get my hands on the sequel! If you haven't read this, you are totally missing you! Read my review below to find out why I love the Angel Creek series so much! ReAwakened stars off a couple of weeks after ReVamped left off. It totally grabbed me from the first few pages. I might have been a little confused to what was happened because my memory is so awful, and there were some things that I didn't remember from ReVamped. Though I'm so glad that Ada Adams refreshed our memories! The angel guardians of Angel Creek are still on a mission to protect the people of the town, but when something weird starts happening, somehow everything turns 180 degrees. Born are somehow being kidnapped, and Sebastian being worried that Dawn might be in danger, he runs away without her to try to solve this problem. Dawn being Dawn, she had to get herself into this somehow. Sebastian goes missing, and thats when everything goes crazy! The best part in this book were the so many new characters that were introduced!! One of my favorite new characters is Razor! He's such a bad boy! Razor is so naughty and funny and sarcastic, but that's just his exterior. Inside, he's such a gentle person who has been through so much. Honestly, when Razor showed up, I thought he was going to be a character who will get romantically involved with Dawn. That usually happens in a lot of books, but I'm happy to find myself incorrect! *Phew* Also, in this book we didn't just meet new characters, but we got to know more about the ones we already know and love. I have a totally new opinion on Hunter. I loved how he opened his heart in this book, and how we really got to know him way more. Not only did we get to know about Hunter, but Brooke also shows us a side we never thought was in her! The more I read, the more crazy stuff happened!! So many unexpected things happened, and it was so twisted and crazy! We learn so many things about Dawn's past, and her interaction with Aurora as well. It was all so adducting and so much fun to read! Ada Adam's writing is flawless and the flow was really good. The ending, is CRAZY! I don't even know how many times I said the word crazy! Seriously though, the ending is this major cliffhanger, that literally left me mouth gaping! I cannot wait to read the third book because I NEED to know what happens next! Now to the GIVEAWAY! Fill the rafflecopter below, and you will be entered for a chance to win this amazing prize! I loved Razor also :) I swear he was like a new favorite of mine when I read the book. And I still love Sebastion, but Dawn got on my everlasting nerves in this book. But I'm still excited for the next :) Awesome review Farah! I think Razor would be my favorite character in this one - naughty, funny and sarcastic? Can't beat that in my opinion! I love a book full of twists and turns and it seems like this one was full of surprises, though I'm not super excited about a major cliffhanger. *shakes fist at cliffhanger* Still, I think I need to add this series to my list Farah! I haven't heard a lot about these books, but I might check out the first book! It sounds good :) I have a love/hate relationship with cliff hangers. Sometimes, they really do their job and I can live with them. Sometimes, they are just plain nasty :p Great review! I love the covers of this series, so I have to read them! :D They sound like a lot of fun, though, I've heard great things about it. It's also great that the sequel is good---they can often really disappoint. Lovely review, muffin! Great review. I think this was one of most jaw dropping endings that I have read in a while. I don't think book 3 is going to be out fast enough. This series sounds awesome!! I love when a sequel is really good too since so often they just seem like a filler book. I am really really excited for this series. I read Revamped and it was good. the covers are gorgeous.